The ISN (International Society of Nephrology) Global Outreach Programme confirmed that for the less developed countries, compared to the more developed ones, Chronic Glomerulonephritis (Chronic GN) and not Diabetic Nephropathy (DiabNx) is still the leading cause of end stage renal disease (ESRD) . The more developed Asian countries like China, India, Malaysia and Singapore are now faced with the burden of diseases associated with lifestyle changes such as diabetes and obesity. Despite the decreasing prevalence of chronic kidney disease (CKD) with associated proteinuria of chronic glomerulonephritis and hypertensive nephrosclerosis, the dilemma of epidemic proportion of Diabetic Nx is far from being contained . In Singapore  the incidence of Diab Nx as a cause of ESRD in 1983 was 17%, in 2004 it was 58% and in 2008 it further rose to 63% in patients initiating dialysis. At the time, 30 years ago, when the incidence of Diab Nx was 17%, the incidence of Chronic GN was 35%. Today Diab Nx is 65% and Chronic GN is 20%. For 2014, Diab Nx was 64.9% and Chronic GN was 14.8%. It would be apparent that Diab Nx is indeed the” new” Glomerulonephritis challenging us . In the treatment of Glomerulonephritis, therapy to reduce proteinuria would be the appropriate approach. But in the treatment of Diab Nx, despite the use of Angiotensin Converting Enzyme Inhibitor/Angiotensin Receptor Blocker (ACEI/ARB) for many years, in the treatment of Type 1 and Type 2 diabetes, the incidence of ESRD due to Diab Nx has not stabilized . In 1993, more than two decades ago, Lewis et al. reported  that captopril therapy in Diabetic patients led to 50% decrease in the combined end point of death, dialysis and transplantation in the New England Journal of Medicine. This breakthrough that captopril retarded the loss of renal function and risk of doubling the serum creatinine by 50% as well as the combined risk of death, dialysis and transplantation was hailed as a medical milestone. Ruggenenti et al. reported that prolonged therapy with ACEI can induce remission in CKD . Remuzzi  stated the importance of using maximum tolerated dose of ACEI/ARB to achieve better remission . Fogo held the view that super high dose of either ACEI or ARB was necessary to achieve regression of glomerulosclerosis . High dose therapy had the additional beneficial effect of decreasing inflammation and restoring glomerular and interstitial injury to previous level. Woo et al. have used high dose ARB, Losartan in IgA nephritis and showed that after 5 years therapy, impaired eGFR in these patients can improve. Similarly, other workers using high dose Telmisartan, Valsartan and Irbesartan in high doses reported improvement in eGFR of patients with Diab Nx [12-14]. 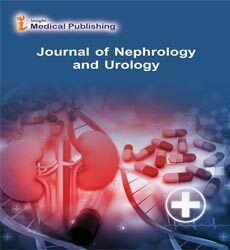 However, it has later been discovered that for many patients with Diab Nx treated with ACEI/ARB, despite the initial decrease in proteinuria, after a few years of therapy, there is an escape phenomenon, known as Aldosterone escape, where there is a rebound of proteinuria with worsening of renal function in these patients . To remedy the situation, spironolactone added to the therapy could reverse the situation and reduce proteinuria again, but because of side effects of gynecomastia, eplenrenone though more costly may be preferred by some patients. The fact is that despite these additional therapies, with time, many patients with diabetic nephropathy still succumb to ESRD. One of the feared complications of long term ACEI/ARB therapy in these patients is development of renal failure due to renal fibrosis. In the treatment of chronic kidney disease [CKD] ARBs reduce proteinuria as well as retard the progression to end stage renal failure [16, 17]. ARBs compete with the receptor for angiotensin and therefore inhibit the action of angiotensin. One of the concerns in the use of these agents is the long term side effects of progressive renal fibrosis with worsening of eGFR . ACEI and ARBs indirectly cause renal fibrosis as they also promote the increase of aldosterone which causes renal fibrosis . Because renin is not converted to angiotensin, there is a build- up of renin in patients on ACEI and ARB and renin itself also causes renal fibrosis. Hyperglycemia in Diabetes causes afferent glomerular arteriolar vasodilation leading to glomerular hyperfiltration which over a period of time results in glomerulosclerosis and eventual end stage renal failure. The newer therapy in treatment of Diabetes is the use of sodium–glucose cotransporter-2 inhibition (SGLT2) as it has the potential for renoprotection in patients with Diab Nx. Just as using ACEI/ARB to reduce glomerular hyperfiltration, the basis for SGLT2 inhibitor therapy in Diab Nx would be its ability to decrease glomerular hyperfiltration resulting in decrease in proteinuria and retardation of progression of renal failure. SGLT 2 has been shown to reduce proximal tubular absorption of sodium, hence causing increase distal delivery of sodium to the macula densa, thus inducing tubuloglomerular feedback resulting in afferent glomerular vasoconstriction and decreased glomerular hyperfiltration. Already, use of SGLT2 inhibitors in patients with type 1 and type 2 diabetes have shown to result in modest decline in eGFR whilst maintaining stable renal function and reducing albuminuria. Hence SGLT2 inhibition has a renoprotective role in patients with diabetes, but presently it has not been used in patients with Diab Nx as its safety and efficacy has still to be proven by ongoing clinical trials . SGLT2 inhibition has therefore been found to be beneficial in patients with Diabetes. Clinical trials in diabetics have shown SGLT2 inhibitors to be effective in decreasing blood sugar and lowering of blood pressure. The SGLT2 inhibitor Empaglifloxin has also been found to lower cardiovascular events, especially cardiovascular deaths in diabetic patients. In addition there are also direct renal effects in patients with Diabetic Nx as it reduces important renal outcomes by lowering glomerular hyperfiltration and albuminuria leading to progressive recovery and stabilization of renal function. There is therefore much hope for millions of patients with diabetes who are all exposed to the risk of developing Diabetic Nx with resulting ESRD. SGLT2 inhibitors will be a boon to these patients as it will mean better blood glucose control, better BP control, reduction of glomerular hyperfiltration and albuminuria. The combined effective blood glucose control, BP lowering effect and the protective effects through lowering of glomerular hyperfiltraion with consequential reduction of albuminuria would offer erstwhile renoprotection to diabetics as well as those diabetics already with Diabetic Nx. However, in the recent review by Fioretto et al. on the glucose lowering efficiency of SGLT2 inhibitors in patients with CKD, on the basis of studies so far, SGLT2 inhibitiors should not be started in patients with GFR <60 ml/min/1.73 m2 and should be stopped when GFR is <45 ml/min/1.73 m2. Hence we should await the results of safety and efficacy studies from ongoing clinical trials before using SGLT2 inhibitors in our patients with Diabetic Nx. At present, SGLT2 have more of a role in prevention of patients with preserved renal function. In the long term, what could be done? Primary prevention of diabetes is possible by modifying risk factors like obesity and insulin resistance. National programs promoting healthy lifestyle among the populations, starting from a young age should be given priority in the health care agenda. Meanwhile researchers like Miyata et al. are investigating the role of defective oxygen biology in Diab Nx which could offer new and promising therapies targeting oxygen biology. Recently a broad range of anomalies have been found in Diab Nx such as hypoxia, oxidative stress and dyserythropoeisis . These new approaches targeting oxygen biology may offer new treatments for patients with diabetes. Couser WG, Remuzzi G, Mendis S, Tonelli M (2011) The contribution of chronic kidney disease to the global burden of major non-communicable diseases. Kidney Int 80: 1258-1270. Singapore Renal Registry (2008) Seventh report of the Singapore Renal Registry Health Promotion Board, Singapore, pp: 14-15. 3 Woo KT, Choong HL, Wong KS, Tan HB, Chan CM (2012) The contribution of chronic kidney disease to the global burden of major non communicable diseases Letter. Kidney Int 81: 1044-5. Singapore Renal Registry (1999-2014) Annual report of the Singapore Renal Registry, Health Promotion Board, Singapore, pp: 9-10. Suissa S, Hutchinson T, Brophy JM, Kezouh A (2006) ACE-inhibitor use and the long term risk of renal failure in diabetes. Kidney Int 69: 913-919. Lewis ES, Hunsicker LG, Bain RP, Rohde RD (1993) The effects of angiotensin converting enzyme inhibitor on diabetic nephropathy. New Engl J Med 329: 1456-1462. Ruggenenti P, Schieppati A, Remuzzi G (2001) Progression, remission, regression of chronic renal diseases. Lancet 357: 1601-1608. Ruggenenti P, Perna A, Remuzzi G (2001) ACE inhibitors to prevent end-stage renal disease: When to start and why possibly never to stop: A post hoc analysis of the REIN trial results Ramipril Efficacy in Nephropathy. J Am Soc Nephrol 12: 2832-2837. Remuzzi G, Remuzzi A (2005) Is regression of chronic nephropathies a therapeutic target? J Am Soc Nephrol 16: 840-842. Fogo AB (2006) Can glomerulosclerosis be reversed? Nature Clinical Practice Nephrology 2: 290-291. Aranda P, Segura J, Ruilope LM, Aranda FJ, Frutos MA, et al. (2005) Long term renoprotective effects of standard versus high doses of telmisartan in hypertensive non-diabetic nephropathies. Am J Kidney Dis 46: 1074-1079. Hollenberg NK, Parving HH, Viberti G, Remuzzi G, Ritter S, et al. (2007) Albuminuria response to very high-dose valsartan in type 2 diabetes mellitus. Journal of Hypertension 25: 1921-1926. Rossing K, Schjoedt KJ, Jensen BR, Boomsma F, Parving HH (2005) Enhanced renoprotective effects of ultrahigh doses of irbesartan in patients with type 2 diabetes and microalbuminuria. Kidney Int 68: 1190-1198. Schjoedt KJ, Rossing K, Juhl TR, Boomsma F, Rossing P, et al. (2005) Beneficial impact of spironoilactone in diabetic nephropathy. Kid Int 68: 2829-2836. Strippoli GF, Craig JC, Schena FP (2004) The number, quality and coverage of randomized controlled trials in nephrology. J Am Soc Nephrology. 15:411-419. Ruggenenti P, Perticucci E, Cravedi P, Gambaro V, Sanjib MC, et al. (2008) Role of remission clinics in the longitudinal treatment of CKD. J Am Soc Nephrology 19: 1213-1224. Hamming I, Van Goor H, Navis GJ (2006) ACE inhibitor use and the increased long term risk of renal failure in diabetes. Kidney International 70: 1377-1378. Liu YH (2006) Renal fibrosis: New insights into the pathogenesis and therapeutics. Kidney International 69: 213-217. Skrtic M, Cherney D (2015) Sodium-glucose cotransporter-2-inhibition and the potential for renal protection in diabetic nephropathy. Current Opinion in Nephrol & Hypertension 24: 96-103. Fioretto P, Zamban A, Rossato M, Busetto L, Vettor R (2016) SGLT2 inhibitors and the diabetic kidney. Diabetes Care 39: 165-171. Miyata T, Suzuki N, de Strihou CVY (2013) Diabetic nephropathy: Are there new and potentially promising therapies targeting oxygen biology? Kidney Int 84: 693-702.